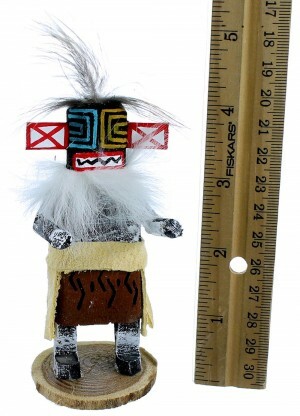 Kachina is approximately 4-1/8" tall including a 1/8" base and is 1-7/8" wide at widest points. 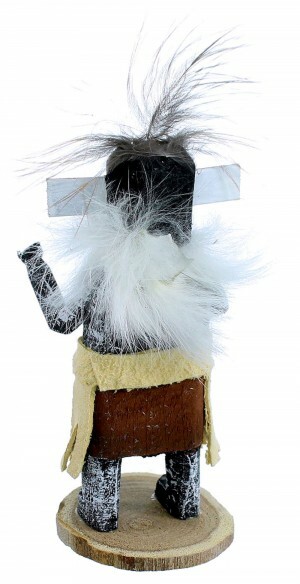 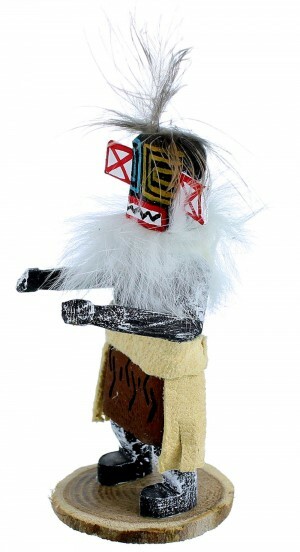 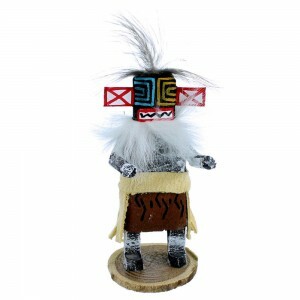 This Hillili Kachina doll was hand crafted by Navajo artist I.J. 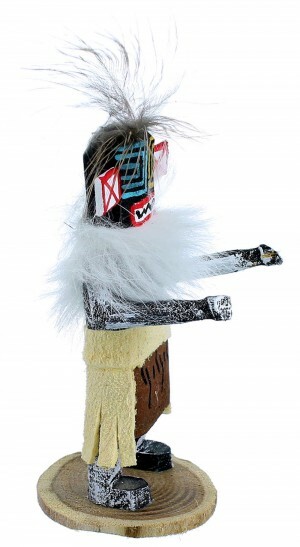 The Kachina doll is signed by the artist.